Water is something that most of take for granted, but did you know that not everyone in the world can turn on the tap to get water? Some people have to walk long distances to get it, while others do without clean water for much of their lives. In fact, many people travel to various areas of the world to teach these people how to purify water. If you’re one of the lucky ones who have access to plenty of clean, affordable water, you should not only be grateful for it but also do your part by conserving as much of it as you can. The less you waste, the better it is for those who lack it. When you are accustomed to having clean water for your entire life, it’s easy to forget that not everyone is so lucky. 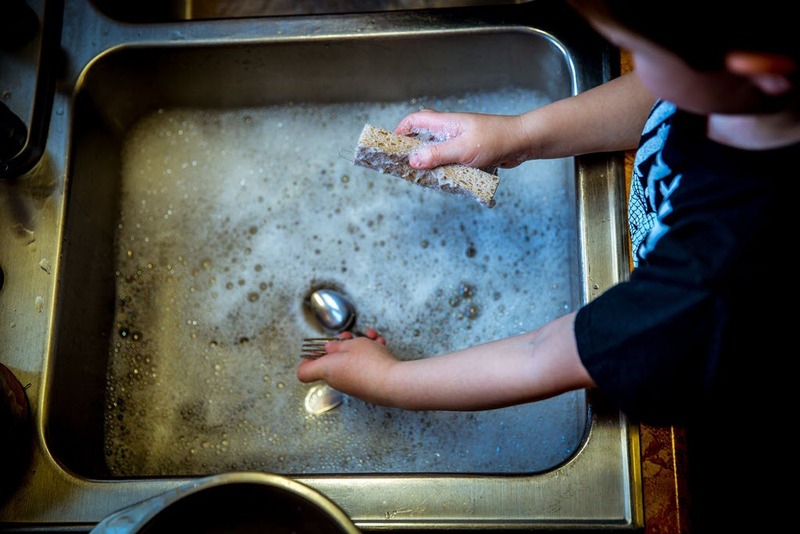 What Do Dirty Dishes and Clean Water Have in Common? At this point, you might be wondering what the global water crises has to do with your dirty dishes. We all need to do what we can to conserve water, and the way we wash our dishes is one way we can do that. You see, when we learn how to purify water, it means we won’t waste this valuable resource. Purified water may get our dishes cleaner and prevent us from getting any of those water-related diseases we mentioned above. Don’t you want to know how to purify your water, so your dishes are as clean as possible? Let’s start by talking about some of the ways you can conserve water when you’re washing dishes by hand and how to make sure your dishes are truly clean. Can you use cold water to wash dishes? Some people try to save money by washing their dishes in cold water, but that won’t get your dishes as clean as they need to be. Cold water won’t get rid of the germs and bacteria on your dishes, which means that when you put away, they’re not really clean. And temperatures that high may too hot for your hands. To help, wear disposable gloves. You will be able to withstand much higher temperatures when wearing gloves, and if you find that the water is still too hot, double up and wear two pair at the same time! 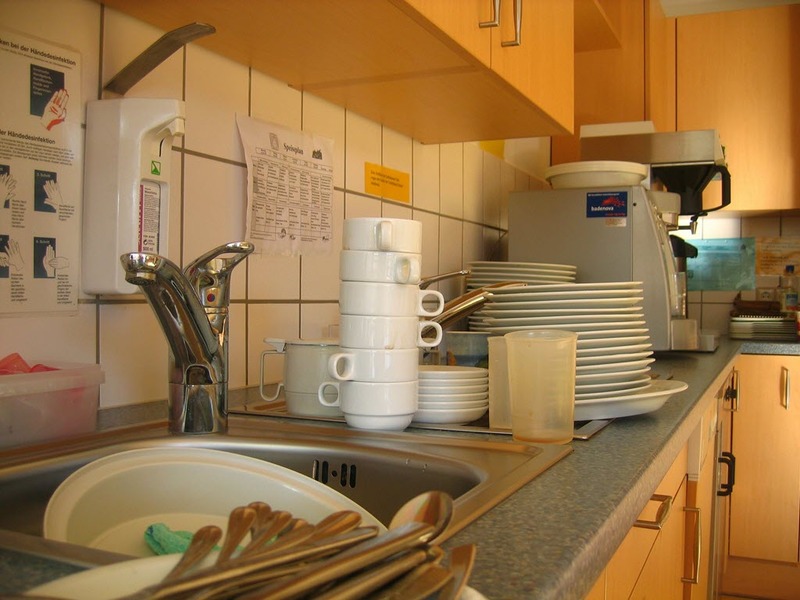 Many people wash dishes by hand because they think it saves water. But here’s the deal: washing the dishes in your sink uses way more water than your dishwasher. The typical dishwasher uses about 3.5 gallons per cycle, but your tap can go through a gallon or two every single minute. If you don’t have a dishwasher and are forced to wash your dishes by hand, you can use the following tip​​s to help save water in the process. Don’t pre-rinse the dishes under running water — remember, it uses one to two gallons per minute! 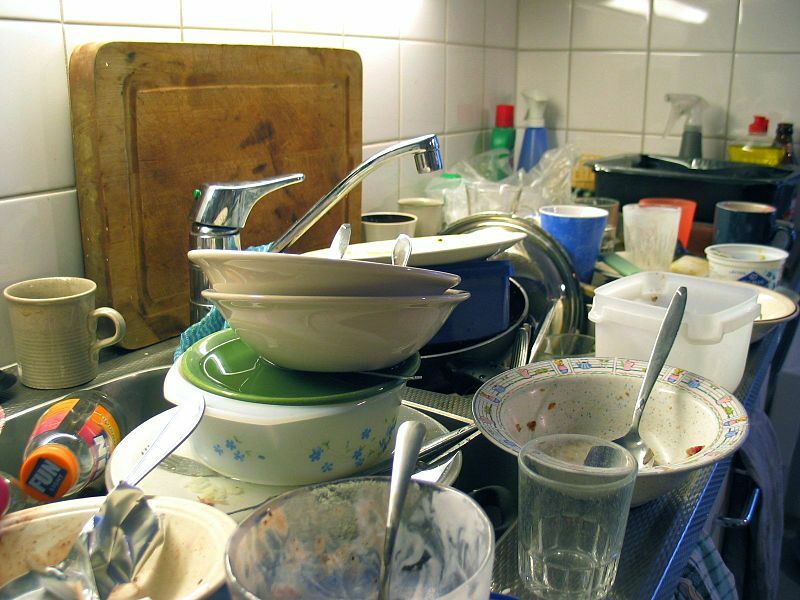 If you wash your dishes by hand, there’s something you need to know: your dishes aren’t really clean. Because it takes such high heat to really get your dishes clean and free of bacteria, it’s almost impossible to get them clean when washing them by hand. That means you are probably eating bacteria along with the meals you serve on those hand-washed dishes. 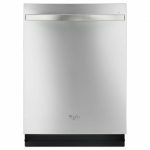 Dishwashers are made to clean and sterilize dishes, and the truth is, you can’t do as good of a job cleaning your dishes as they do. But take heart, if washing dishes by hand is your only option, the extra bacteria you ingest won’t kill you. If you’re lucky enough to have a dishwasher in your home, you have the benefit of getting cleaner dishes with a fraction of the amount of water. But when it comes to water conservation, we can always do more. 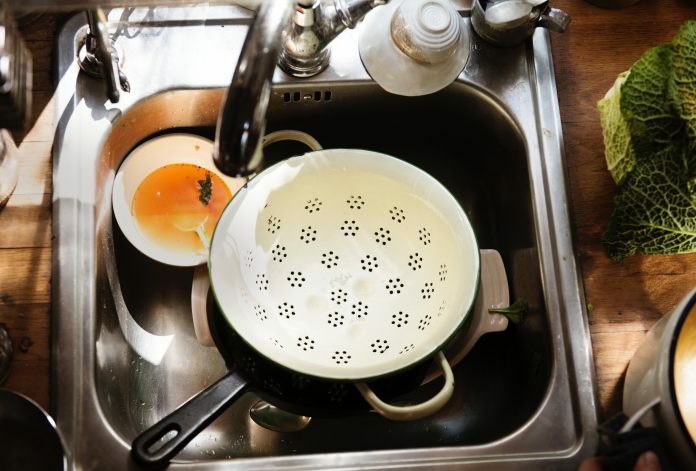 Here’s how to lower the amount of water you use when doing your dishes. If you’re finding dried food on your dishes after the cycle completes, you can take some steps to ensure that they get clean. 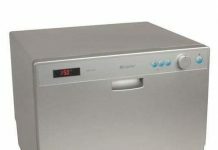 Your water temperature needs to be between 120 and 150 degrees to get your dishes clean. To test it, run the hot water in your sink and then fill a glass. Put a thermometer in the glass to check the temperature. If it’s not hot enough, raise the level on your hot water heater. 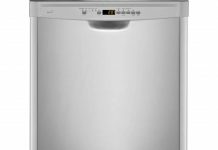 You can check the water level in your dishwasher by beginning a wash cycle and then opening the door when you hear it stop filling with water. If the water reached the heating coil, the level is good. But if it didn’t, check the float valve to see if it’s working and that the inlet valve isn’t clogged. 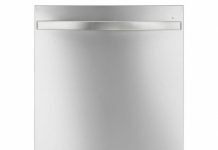 Fact: troubleshooting your dishwasher isn't that difficult. Sometimes food particles and other things can clog your inlet valve screen. Check yours to determine if this is the case. If it is, replace it and see if that resolves the issue. Just because water comes from your tap, that doesn’t necessarily mean it’s safe to consume. In fact, a lot of municipalities experience unsafe drinking water conditions from time to time. Seriously, how do you not think about this every time you turn on the tap? 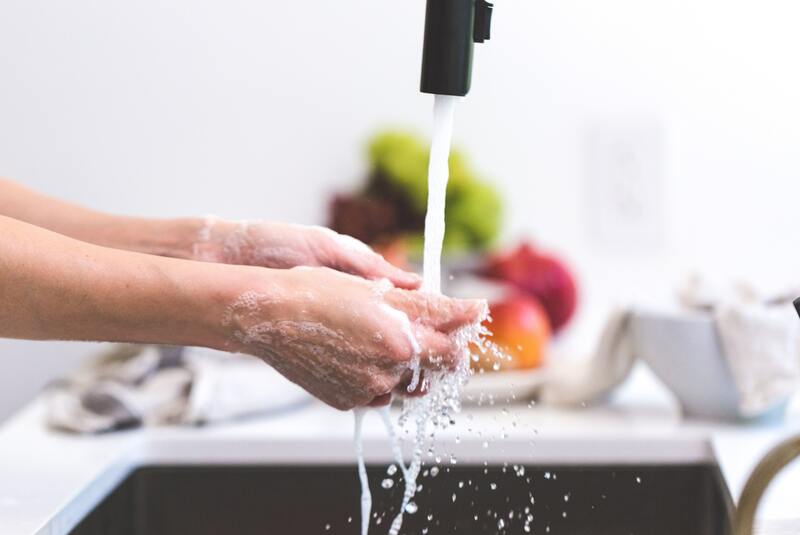 If you’re curious about what’s in your tap water, you can visit the EWG Tap Water Database, enter your zip code, and get a report about the contaminants in your local water facility. How to Purify Water h2You’re lucky because you can go to your tap anytime you want, turn on the water, and get as much water as you need. But at this point, you may be wondering how to purify water. And it’s one that a lot of people are asking. In fact, The Perspectives on America’s Water study shows just how much people value water. In it, most people said that clean water is more important than clean air to breathe. But if you’re not sure your water is as pure as it can be, it might be time to learn how to purify water. Water concerns are everywhere. In fact, the US Government Accountability Office (GAO) says that 40 out of 50 states expect water shortages with average conditions in the next decade. In addition to the facts cited above about how some people live with exposure to dangerous drinking water, you should know some other things. For instance, exactly what is in the water and why do you need to learn how to purify water? Here are a few reasons you should learn how to purify water in your home. There may be up to 2100 contaminants in your drinking water. But when you learn how to purify water by using the right filtration system, you can significantly reduce them. When you learn how to purify water, you will protect your body. For example, getting rid of chlorine and bacteria in your water will help reduce your chances of getting bladder cancer, rectal cancer, and colon cancer. Chlorine and volatile organic chemicals (VOCs) can cause skin irritation, but when you learn how to purify water, you will remove them and help clear up your skin. It’s expensive to buy bottled water to cook with and drink, and the plastic used in the bottles isn’t healthy. On the other hand, when you learn how to purify water, you will save money and drink water that isn’t contaminated with plastic chemicals. 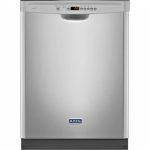 If you run your dishwasher only when it has a full load, you can eliminate a load of dishes per week. That will save the average family almost 320 gallons of water every year. Are you convinced that you should learn how to purify water? Let’s take a look at some of the types of water purification systems you’ll have to choose from. Which type of system should you use? You have many choices when it comes to learning how to purify water, and you should study each one carefully to determine the right system for you. Here is a breakdown of the main water purification systems you can choose from. A reverse osmosis water purification system uses four to five stages of filtration, making it a great choice when you want to filter out as many contaminants as possible. It uses a semi-permeable membrane and can filter out both waterborne contaminants and toxic substances, including heavy metals. Because it only has a few parts, you can easily clean and maintain this filtration system. When learning how to purify water, you should definitely know about distillation. In this process, you first boil the water, and then as it evaporates, the vapor is captured and condensed. And that becomes distilled drinking water. When you distill water, you will kill all organic and inorganic chemicals, along with heavy metals. The process also kills pathogens and bacteria. You can either buy distilled water or purchase a countertop distillation system. Activated carbon filters, also known as charcoal water filters, are commonly used in the US. You can use these filters as a stand-alone water purification device or in conjunction with a reverse osmosis or UV filtration system. It operates by using granular activated carbon that acts as a magnet to the impurities in the water. These filters remove chlorine, fine sediments, heavy metals, and other impurities you don’t want in your tap water. 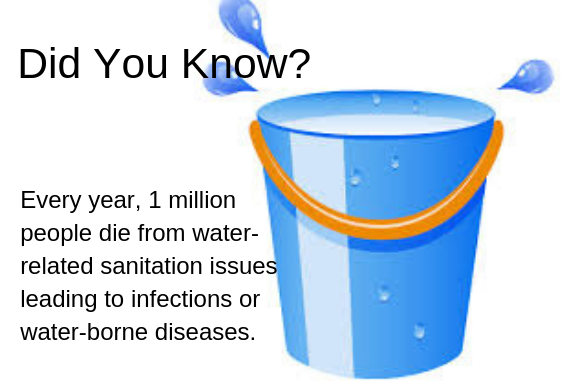 According to the EPA, the average household wastes 10,000 gallons of water each year. If you want to kill all waterborne bacteria, ultraviolet disinfection is an effective, natural way to purify water. The UV rays attack the bacteria’s DNA and disables and kills them. Ceramic water purification filters filter out all the nasty stuff from your water like bacteria, chemicals, and sediment. They do it by letting the water seep through millions of microscopic pores in the cartridge’s surface. When the organic or inorganic particulates can’t pass through because they’re too big, they accumulate on the surface. When learning how to filter water, you need to understand the most common methods of doing so in a household. Below, you will find the most popular ways most people filter their water at home. This is one of the most popular ways to filter water at home because the water filter pitcher filters are inexpensive and portable. These pitchers have two parts: the center of the upper half contains a filter that is made up of activated carbon. You pour the untreated water through the filter. The water then filters down into the bottom half of the picture. You drink from there. You can use these pitchers at home for drinking and cooking, or take them with you when you travel for a safe and easy way to filter your water. A faucet water filter attaches directly onto your faucet and purifies the water as it’s coming out of it. You can put a filter on your kitchen sink to ensure clean water when you cook or drink, or you can put one on your bathroom sink to filter out contaminates so you can brush your teeth or wash your face with pure water. A showerhead filter attaches to your showerhead and filters out contaminants from your shower water. Many filters eliminate chlorine from the water, which leaves your skin less irritated and your hair shinier and in better condition. If you shower for 5 minutes instead of 10 minutes, you will cut your water usage by 12.5 gallons. Countertop water filters come in a variety of models, each sitting on your countertop. These filters hold more water than pitchers, so you won’t have to fill them up as often. Some of them attach directly to your faucet and filter the water as it comes out, while others use a gravity system to filter the water through charcoal or ceramic cartridges and allow you to use a spigot to access pure filtered water. These water filters sit under your sink and filter water faster and in larger amounts than a countertop model. They remove bacteria and other contaminates allowing you to have fresh, clean water on demand. A whole house water filter purifies the water in an entire house, giving its occupants clean water no matter what room of the house they’re in. Hopefully, you’ve not only learned the importance of conserving water but also how to purify water to ensure that your dishes are as clean as they can be. The water you use to cook, drink, and bathe will be as pure as possible. 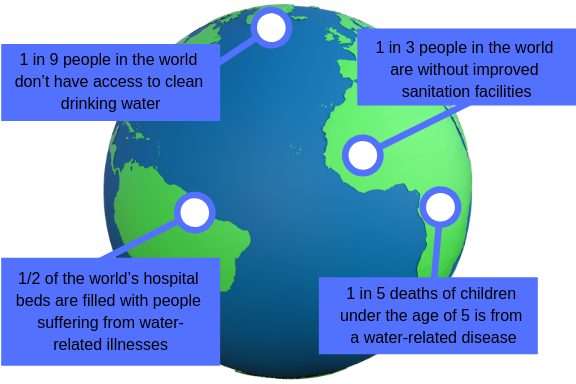 Clean water is a precious resource that not all of the world is lucky enough to have at will. But those of us who enjoy easy access to pure water should ensure that we make good use of the resource. Do you use a water purifier? If so, we would love to hear about experiences with it in the comments below!